Since setting up the company Chris has seen many changes and has always moved with times with regards to trends and the expectations of the hairdressing industry. 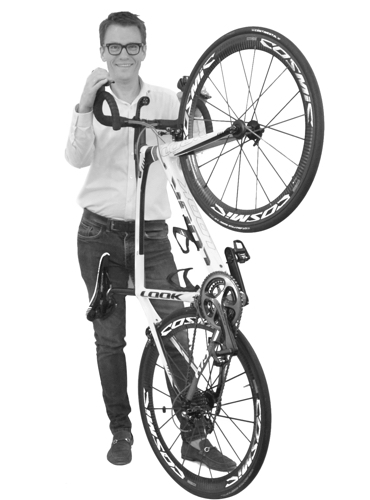 Chris is a keen cyclist and has raised thousands of pounds for Cancer Charities, when not on his bike he enjoys cooking and fine food washed down with a little something. 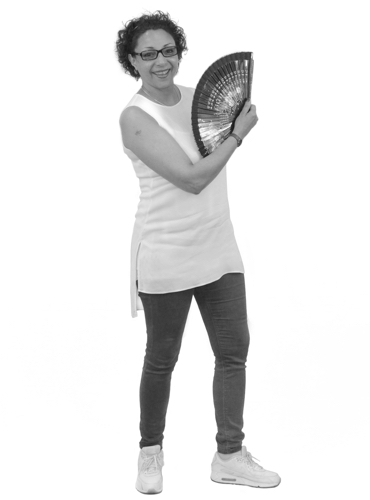 Our Part Time Receptionist Lorraine has been with the company since 2000. 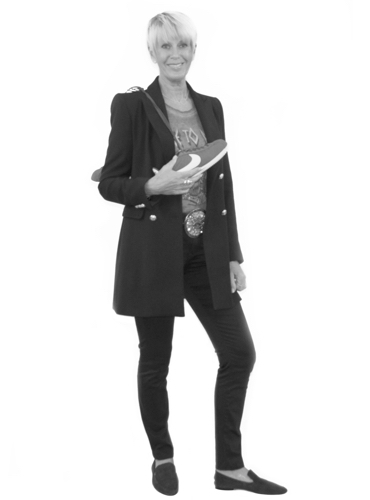 She is a self confessed Fitness Freak and enjoys time with her two Grandchildren and sunny skies in sunny destinations. Her ‘Go To’ product is MO OIL HYDRATION MASK she says she couldn’t be a unnatural bleach blonde without it, a weekly repair fix. Our Premier Colour Technician Debbie has been with the company since the start in 1999, and enjoys her down time meeting up with friends, reading and going to the cinema. Debbie is also a keen motor cyclist. Her ’Go To’ product is Color Wow, she says a must for that root emergency - always in my make up bag. 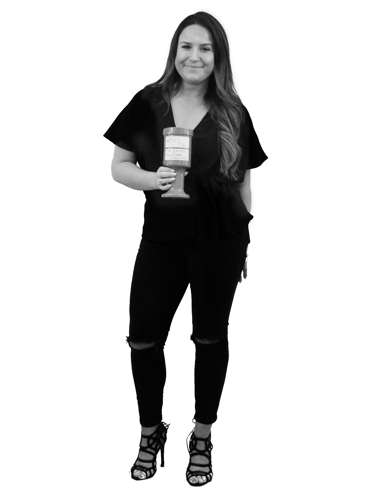 Rebecca is a Premier Stylist and joined the company in 2004 as an apprentice, working her way through the ranks after qualifying as a stylist before her 18th Birthday! Rebecca specialises in hair extensions and ‘up dos’. 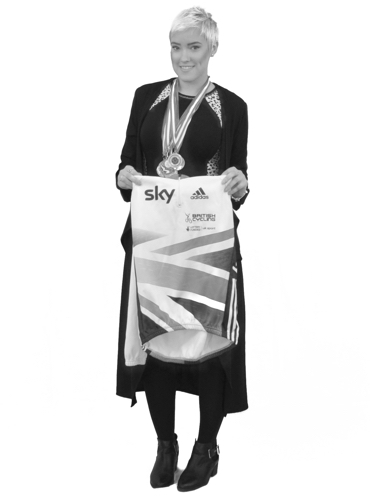 Rebecca is a thrill seeker and sets herself a new challenge and personal goal each year, this year she completed The London Marathon. She enjoys spending time with friends and family. Her ‘Go To’ product is Colour WOW cocktails, she says a versatile product and the range covers all hair types. 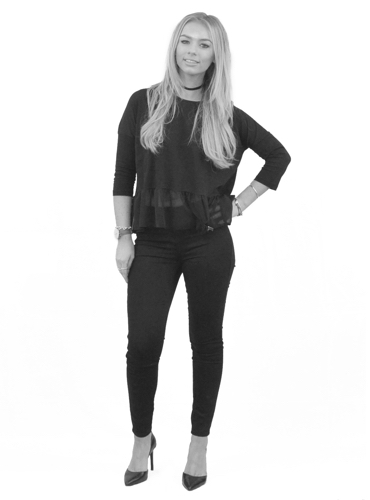 Michelle is a Senior Stylist/Colour Technician and has been with the company since 2010 and joined as an apprentice, she loves a challenge when a client is up for drastic change! She specialises in Balayage and Ombre Colour work. Michelle currently represents TEAM GB as captain in Cycle Speedway. Her ‘Go To’ product is Evo Haze she says it turns uncontrollable fine hair ­- into textured, volumised manageable hair. Salon Manager and Senior Hair Technician Sarah works hard to juggle her dual role, she joined the company as an apprentice in 2009 and had progressed through the ranks. Sarah is an ambassador for Evo and a Educator for Framasi, which takes her away from the salon from time to time. Sarah enjoys the gym and is a keen skier. Her ‘Go To’ product is Evo Easy Tiger. She says it's a must for heat protection and hydration elements that make it suitable for every client. Ellie has always had a passion for makeup. She loves working with different products and glamming up her clients for any occasion. 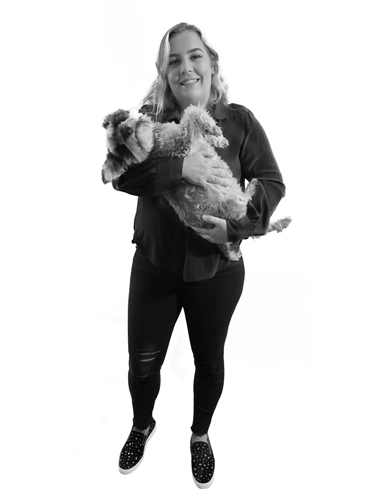 When Ellie is not doing her own, or anyone else’s make up, she loves spending time with her miniature Schnauzer, Minnie. 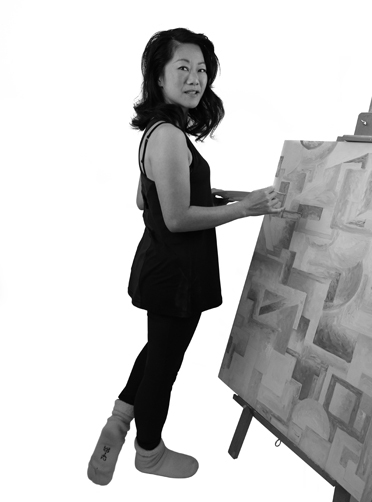 Art is Paula's core strength and is very important in everything she does. Paula tries to challenge herself and break boundaries, which takes shape in the form of hair, painting, and photography. In her spare time, Paula practices yoga and loves to be in her garden, whatever the weather, and can spend endless hours in her wellingtons. Her 'Go To' product is Moroccan Oil... she says it is great for wet hair to lock in moisture and for ultimate glossy shine to finish. Our shining new star Chloe Brown is one of our Stylists and Colourists with a particular interest in colour challenges. She is fully trained and an expert in using Framesi, our exclusive Italian colour and smoothing systems. In her spare time Chloe enjoys ice skating , the festival scene and holidaying in the sunshine. She shares her home with her two cats Ralph and Barney. Chloe’s 'Go-To' finishing product is Moroccan Oil – she loves its amazing shining effect on everyone’s hair leaving it silky and manageable.